Critics and anti-poverty advocates are questioning the so-called economic recovery as a USDA study (PDF) published Wednesday revealed that while the nation’s wealthiest enjoyed record gains, nearly 50 million Americans continue to struggled with food insecurity in 2013. According to the government figures, while a majority of people who were not always able to afford food last year were adults, 16 million children also went hungry at times, with 360,000 households reporting that their kids skipped meals or did not eat for an entire day because there was not enough money. 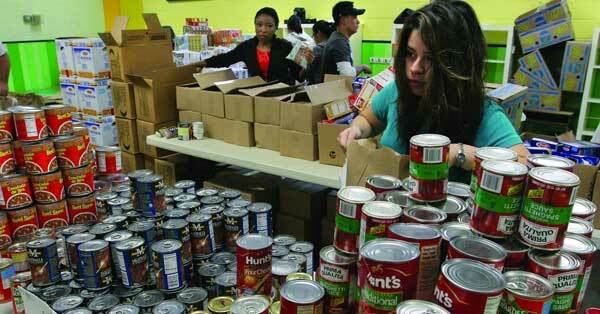 Overall, food insecurity is 35 percent higher than in 2007, before the recession began. In 2013, the average food-secure household spent 30 percent more on food than the average food-insecure household of the same size. The research comes shortly after the Harvard School of Public Health released a study showing that the healthy diet gap between rich and poor Americans doubled between 1999 and 2010. That study, published earlier this week, found that differences in diet are directly related to both cost and access, as low-income people are more likely to live in “food deserts” — areas that have few to no grocery stores selling healthy produce, forcing families who cannot afford to travel outside of their neighborhoods to rely on corner stores selling boxed and processed food. “The overall improvement in diet quality is encouraging, but the widening gap related to income and education presents a serious challenge to our society as a whole,” said the study’s senior author, Walter Willett, professor of Epidemiology and Nutrition at HSPH. The Food Research and Action Center also noted that the “severe” food insecurity rate was 5.6 percent in 2013, compared to 4.1 percent in 2007 before the recession. Fast food workers in 150 cities across the U.S. on Thursday will launch strikes and sit-ins to demand a $15 minimum wage, the right to organize in the workplace, and an end to wage theft, a move that the coalition supports. “It’s appalling that the people who grow our food and serve our food can’t afford to eat,” Berg said. The day of action is being organized by employees of McDonald’s, Burger King, Wendy’s, and KFC, who are expected to be joined by thousands of home healthcare providers, with an end goal of building a movement of low-wage workers. Previous PostChaos in Kisumu as traders protest demolition of stallsNext PostU.N. Climate Summit: Staged Parade or Reality Show?